The 4331 was announced in January 1979, and it featured a maximum main storage of one million characters of information. It could be installed in an office environment and was designed for the first-time computer user, such as a remote location within a larger enterprise. 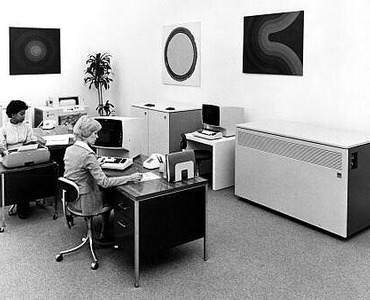 Shown here in a design model, the 4331 was capable of instruction rates four times that of a System/370 Model 115. 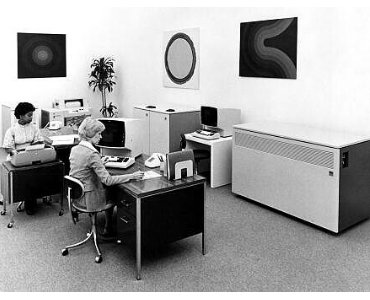 It could be used with IBM input/output and communications devices already available at the time or with a new IBM 3310 disk storage unit (seen under the abstract circle on the wall).